Be the first to share your favorite memory, photo or story of Dorothy "Dot". This memorial page is dedicated for family, friends and future generations to celebrate the life of their loved one. Dorothy “Dot” J. West, 78, of Pekin passed away on Saturday, January 12, 2019 at her residence. She was born November 20, 1940 in Canton to William and Louise Cox Graham. She married Billy West in Pekin on January 14, 1961; he preceded her in death April 30, 1994. Her parents and twin granddaughters, Phoenix and Madeline also preceded her in death. She is survived by her daughter, Connie (Michael) Kendall; sons, Scott (Shirrell) West, Michael West; granddaughters, Emily, Alyssa; grandsons, Bradley, Andrew, Conner, Joshua, Devin, Gavin, Logan, Zachary and one great-grandchild on the way. 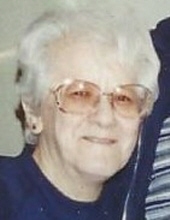 Dorothy graduated from Farmington High School and worked for Foster & Gallagher in Peoria until retiring in 1999. She enjoyed traveling and watching the news. She loved her family; especially her daughter, sons and grandchildren. She will be greatly missed. A visitation will be held on Wednesday, January 16, 2019 from 4 p.m. to 6 p.m. at Abts Mortuary in Pekin. Private graveside services will be held. In lieu of flowers memorials may be made to the COPD Foundation in her name. To send flowers or a remembrance gift to the family of Dorothy "Dot" West, please visit our Tribute Store. "Email Address" would like to share the life celebration of Dorothy "Dot" West. Click on the "link" to go to share a favorite memory or leave a condolence message for the family.